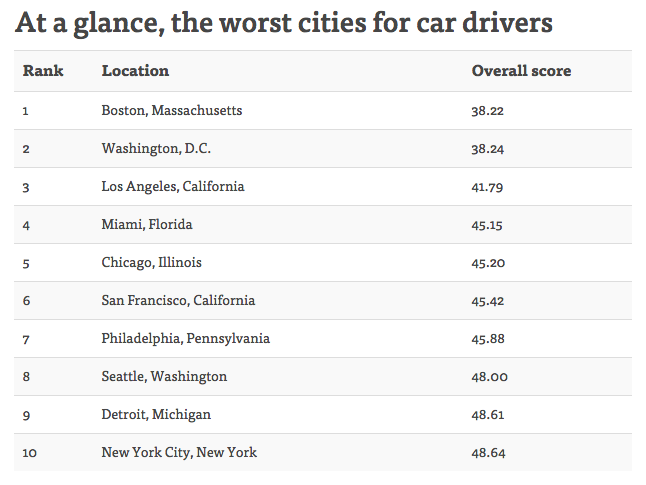 Consumer finance website NerdWallet has released a list of the top 10 Worst Cities for Car Drivers. 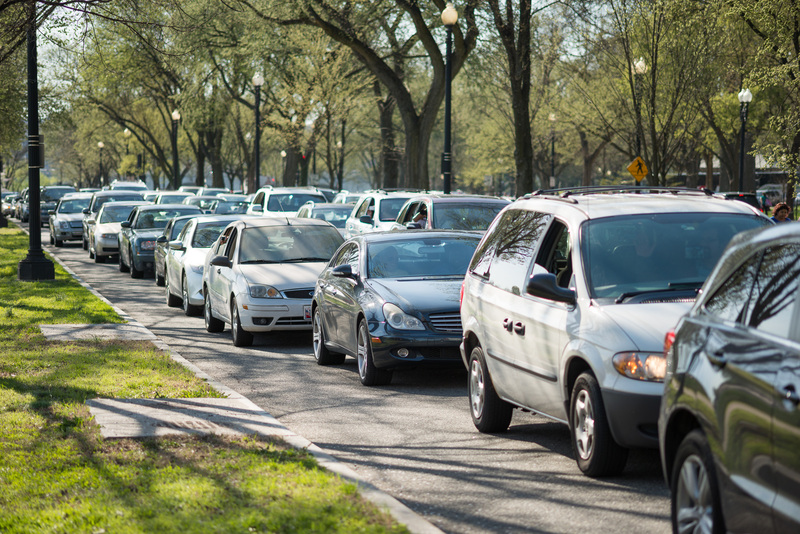 Washington D.C., number two on the list, proves once again that the term “gridlock” doesn’t just apply to the city’s politics. Thankfully, both Washington and Boston have good public transportation systems and mobility options such as bikeshare and Bridj (which started in Boston and recently expanded to Washington). One thing worth noting: Washington D.C. “outperformed” New York City in another ranking. You may remember we reported that the District was named “most walkable city” by Smart Growth America, surprisingly topping New York. Parking availability: Garages and lots per 1,000 commuter vehicles. Photo by cherryblossomwatch and Graphic from NerdWallet. A Bikeshare Station on Every Corner? Unlimited Bikeshare Parking? Yeah, We Got That.